The réserve nationale de faune du Lac-Saint-François covers 14 km2 of protected land and 10 km of trails. Offer and develop outdoor activities to interpret the natural environment and educate visitors about the preservation of biodiversity. The Rabaska canoe is the ideal boat for family and friends outings, school groups and day camps. 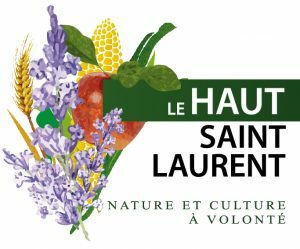 Our non-profit organization allows the public to enjoy the treasures contained in the réserve nationale de faune du Lac-Saint-François. Since April 27, 1993, under a contract with the Canadian Wildlife Service, the organization is responsible for the management of outdoor activities on the National Reserve site, including hiking, kayak tour and more. We offer hiking, guided Rabaska and sea kayaking tour, routes for birding enthusiasts and other outdoor activities. Visitors can even be accompanied by a guide to benefit from their experience. The National Reserve offers more than 10 km of hiking trails. With structured hiking trails, you can discover the ecosystems and different life forms living in swamps, forests, water and much more. A rich program for all visitors: birdwatching, torchlight walking, conferences, family activities and more! Stay tuned for the 2018 events. In terms of flora and fauna, the National Reserve contains many species, some of which are rare or endangered. To discover the biodiversity a guided Rabaska canoe or sea kayak is required. If you, like us, have at heart the protection of this area, you can act and make a donation to Les Amis de la Réserve nationale de faune du lac Saint-François. The CLD and Tourism Haut-St-Laurent for the valuable support with the “Fonds d’animation touristique”.